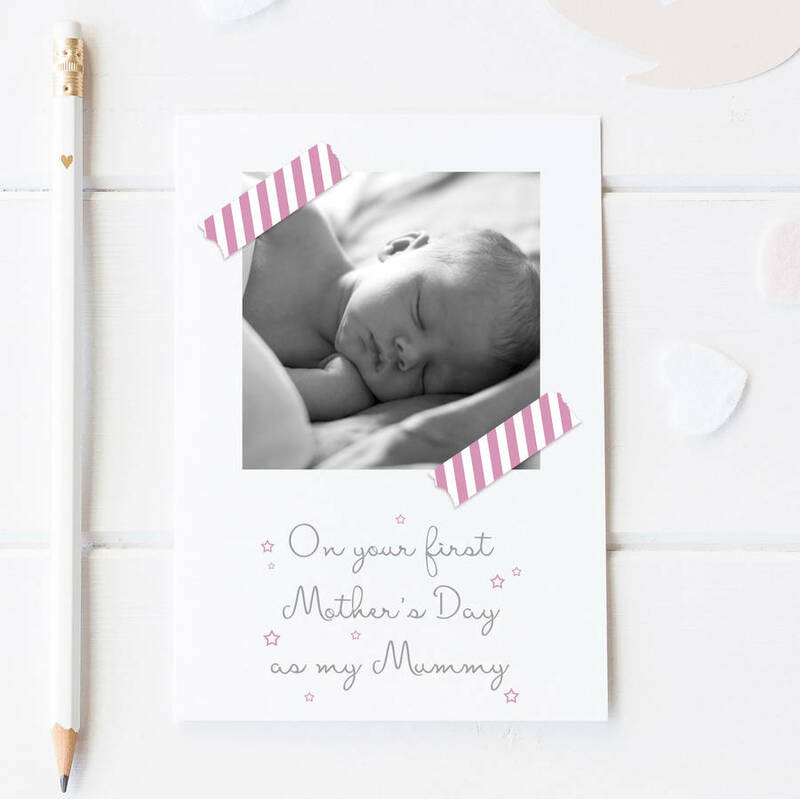 Celebrate a Mum's first mother's day with this beautiful, personalised photo card. 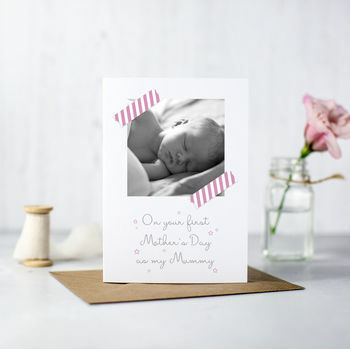 This personalised Mum's first mother's day card is beautifully printed on 300gsm textured card which has a soft and luxurious feel to it. Please ensure your photograph is of a good quality. Proffesional pictures preffered! Please note this is printed on textured card, giving the printed photo a grainy, vintage effect.